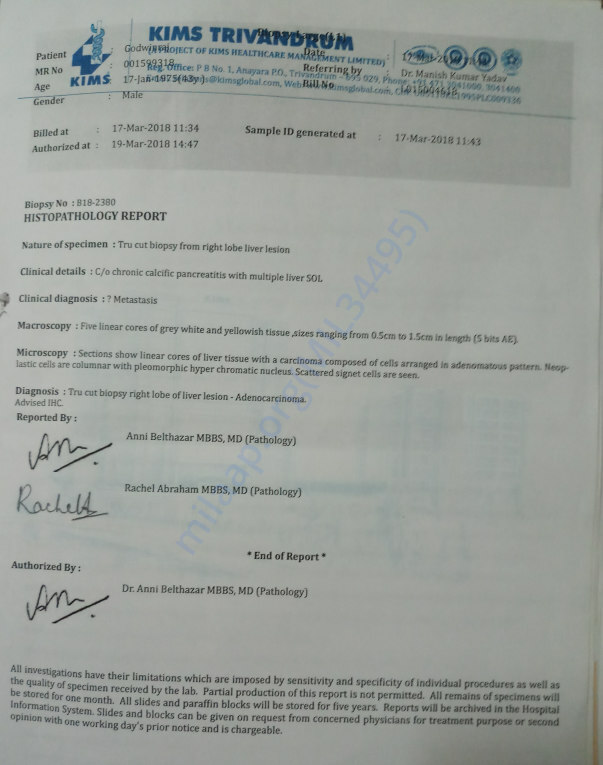 On Feb 27, 2018, my younger brother Godwin Raj, 43 years old, residing at New Ambadi, Kanyakumari District was diagnosed with pancreatic cancer with liver secondaries at KIMS hospital, Trivandrum. 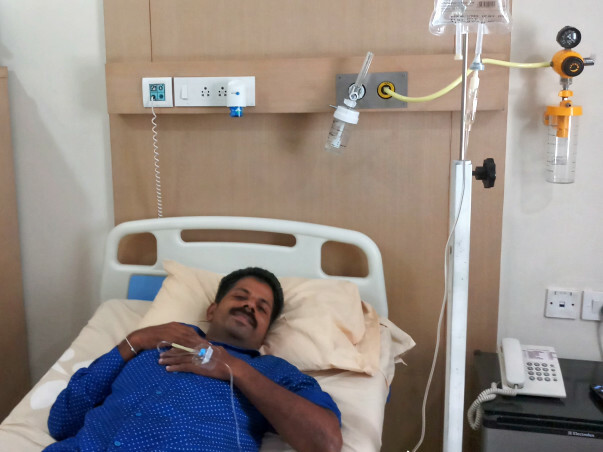 Then, we brought him to VS hospital, Chetpet, Chennai for 6 cycles of chemotherapy treatment. Godwin Raj is a painter by profession and is married to Anitha and they are blessed with Andrew, 13 years, and Ashwin, 10 years old. The children are residing with their grandparents to continue their studies. Godwin and his wife are in Chennai in my house. The treatment cost might go upto Rs, 40 lakhs. Being the sole bread winner in the family, it is impossible for my brother to bear the financial expenses of his medication. So, we request generous hearts to support us financially for his medical treatment. We believe God will heal him but we require financial support for him to cope and get cured from cancer. God Bless you. Thank you for your love. 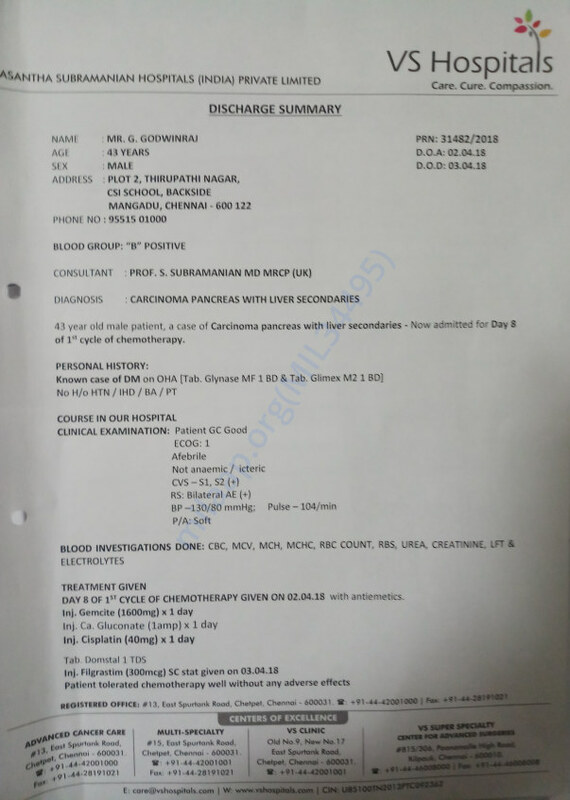 Godwin raj has undergone 12 chemoptherapy treatment till now and will undergo a PET scan on 3rd of Dec"18. We shall keep you posted on the progress.